Sure, the Tarragona region in Spain is the touristy beach destination some might want to avoid. But for the more experienced travelers, a couple of miles inland lies an adventurous world, discovered through windy roads with hardly any other tourists around. I must admit we were a bit hesitant to go to the Tarragona region. The front lines at the Mediterranean shore are occupied by tourist developments, large campings, and rollercoaster theme parks. In the summer months, places like Salou and Cambrils are packed with teens seeking their first love, and the elderly strolling back and forth on the restaurant filled boulevards. However, just a 10-minute drive away from the masses, there is a world with mystical castles on fortified mountain tops, valleys covered in wine rakes producing some of the best wines in the world, and natural parks with hundreds of hike, climb, and bike paths ready to be taken. Rock formations provide a backdrop for tremendous vistas and in their shadows are the slow-paced towns that throw you back into medieval times. Times where the Moors, the Romans, and the Knight Templars fought their battles and left behind places of tremendous historical significance. We stayed in the countryside for a couple of weeks and spent hours driving around the area. Below is a list of activities we found. Some are hidden gems, some the obvious that surprised us. Because the area is so beautiful, getting to them and back was half the fun. 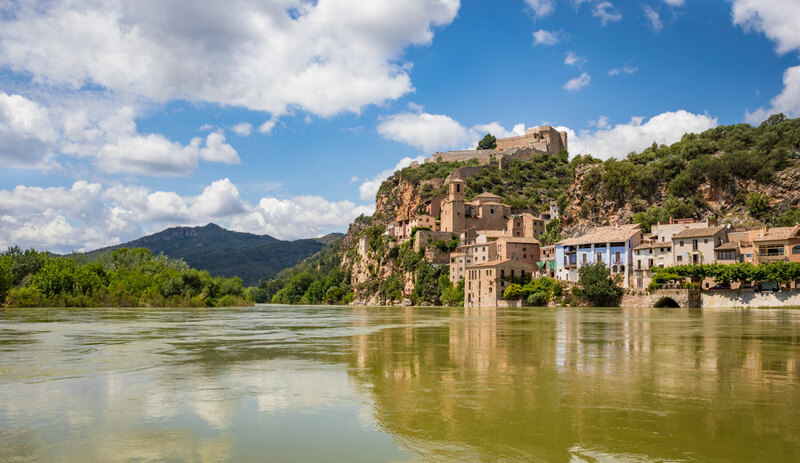 In a sharp turn of the Ebre, about 70 kilometers before the river ends up in the ocean, the Moors started this picturesque town. Clay pottery has been the main source of income for centuries. The town probably did not change much and strolling through the narrow, steep streets, warps you into medieval times where you could bump into knights in shining armor. After the conquest of 1153, the Knights Templars transformed the settlement into a fortress-monastery. The Miravet castle is one of the best-preserved examples of Romanesque architecture of the Knights Templar. While in search of vistas of endless miles of wine rakes, we noticed these incredible rock walls on top of the Serra de Montsant mountain chain. In this area, each curve on the winding roads provides a new panoramic view. Each time you go higher, there is new vegetation to enjoy. We went on to visit the little town of La Morera de Montsant. A quiet little town, that serves as the gate to Parc Natural de la Serra de Monsant, featuring countless hiking trails. In the distance, you can see the village of Siurana, atop high cliffs. 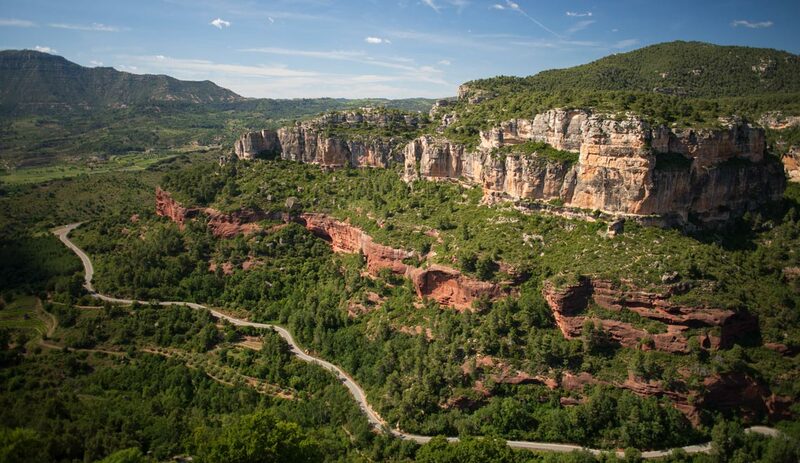 Siurana overlooks most parts of the region and is a popular area for rock climbing. 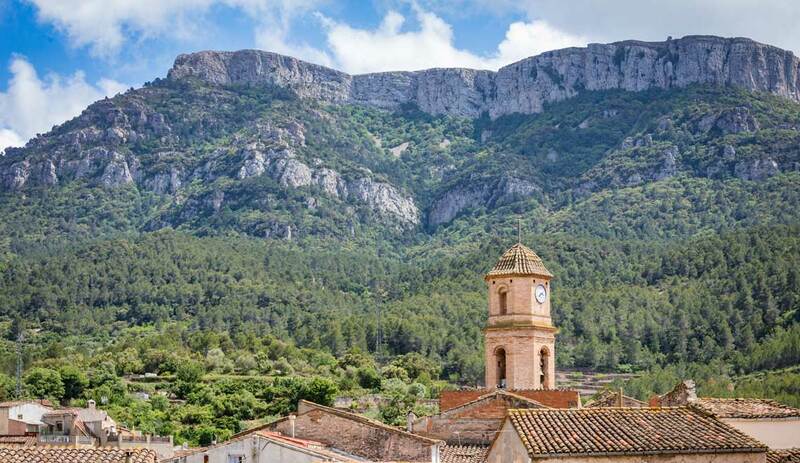 The village itself is simply beautiful and has historic significance because it was one of the last Muslim enclaves to fall to the Christians in Catalonia. The views are just ridiculous. When driving on the coastal highway between Cambrils and Miami Platja, you will likely see this mountain stand out because of its dark red color. Most people visit Mointroig because of the Ermita Mare De Deu De La Roca, a sanctuary perched on a cliff, with outstanding views. For us, the most fun starts across the street. The red rock stairs take you right up, leading you to a large variety of trails, both easy and intermediate that guide you along the gorgeous red rock formations. Besides some locals walking their dogs and some hike enthusiasts, you won’t see many people out here. 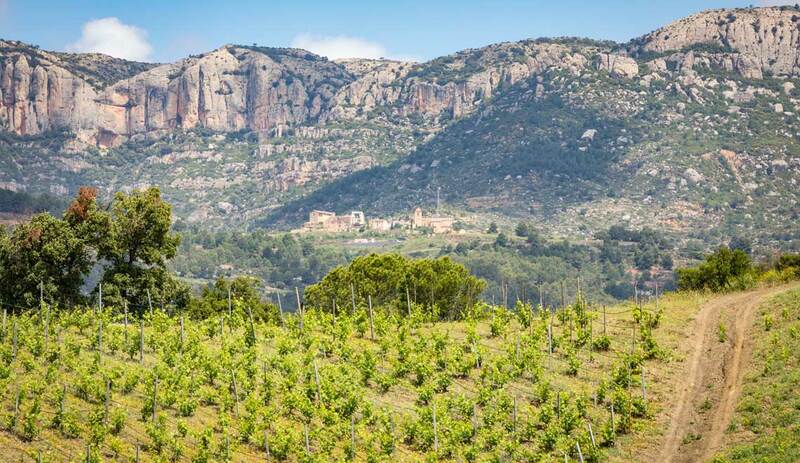 Priorat is probably the most famous wine region in Spain and is a DOQ, which means it has the highest qualification level according to Spanish regulations. There are vineyards just about everywhere you look. Right outside this area, you find the Montsant wine region, which produces similar wines. 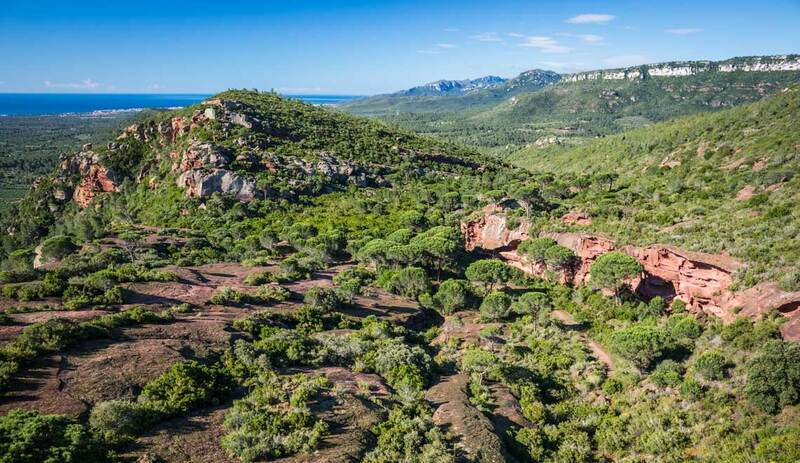 It is unclear where Priorat ends and Montsant begins and if they are separate from each other, but it doesn’t matter as both are beautiful regions. You can start your discovery of the area in the town of Falset, with lots of tourist information and stores with all the locally produced wines, olive oils, and kinds of vinegar. This is the one activity on the list that is right in the middle of the touristy area but definitely worth visiting. 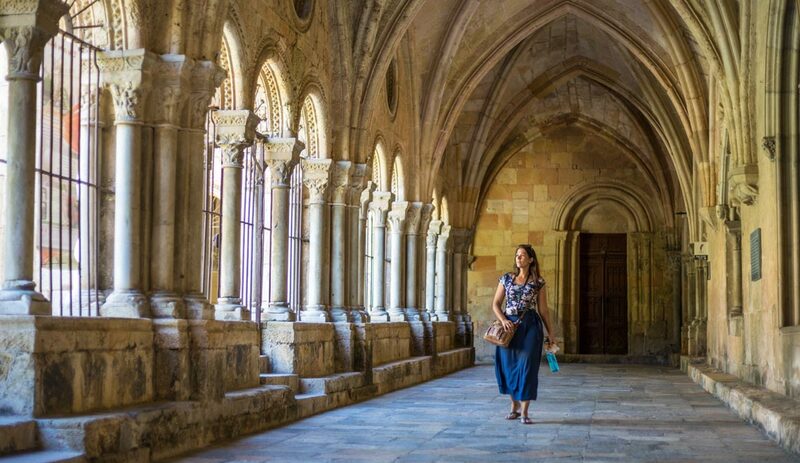 The city of Tarragona was one of the biggest settlements of the Roman Empire and packs an incredible amount of historic buildings in a small city center. There is a cathedral, city walls, an amphitheater, large squares, museums and much, much more. 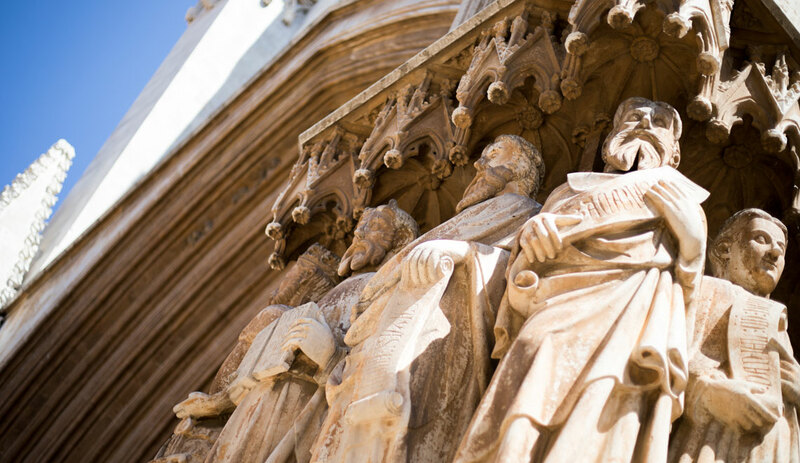 We were particularly impressed by the Cathedral of Tarragona, which also featured many art expositions and archeological sites.